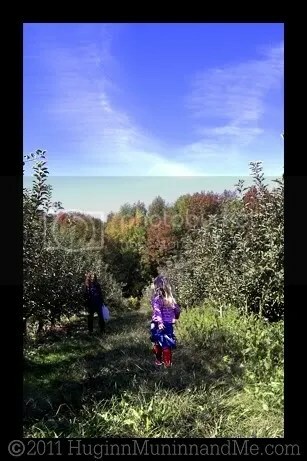 This autumn the girls, their Gammy, and I all went to a local pick-your-own orchard in search of apples! It was a super fun day for most of us, and even my cranky little Ro found highlights here and there. One of them being the tractor filled with hay that brought us to the trees. It was kind of late in the season for apples, being nearly Halloween (we usually try to get to the orchard in September, but rainy weather kept us at bay), and to our great dismay we found that apples were nowhere to be seen! Along with several others who were on the same quest, we wandered aimlessly through row after row of barren trees. 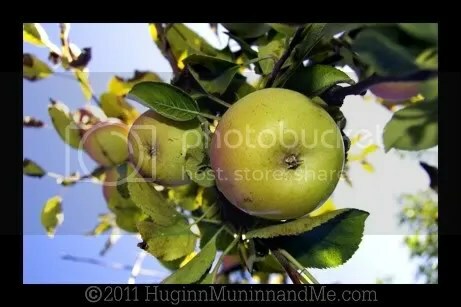 Just when we nearly had lost hope, we spied a single tree that was laden with yummy goodness. 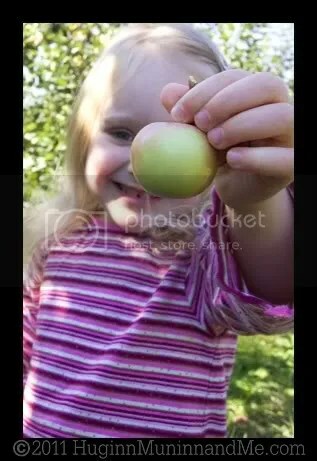 There may have been some kind of fairy magic at work that afternoon, because not only was it the only tree in the entire orchard that still bore fruit, the apples themselves were. . . odd. They tasted great, but in stature were a bit lacking. This tree was full of itty-bitty teeny-tiny toddler-sized apples! Which suited T . . . well, to a T! Little sister was happy with them, too. 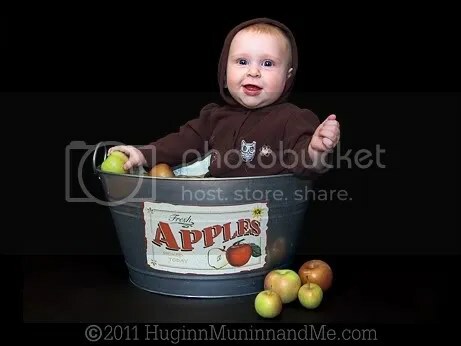 Rowan, then not even 6 months old, lacked the teeth to do our harvest much harm. 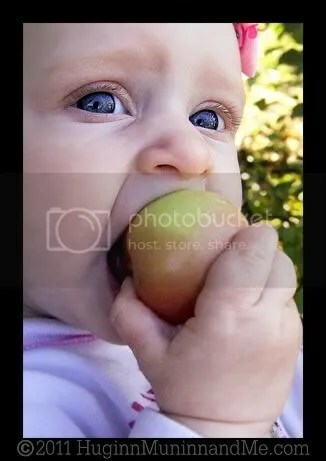 We found, however, that she would be perfectly content to sit under the tree or in her stroller with a pre-chomped apple held tightly in her fist – and to her mouth. 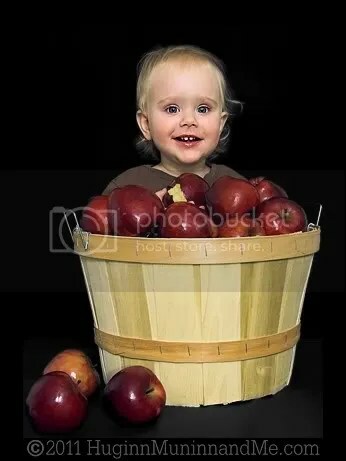 As long as someone took the initial bite and broke the skin for her, she was clam happy to lick those poor diminutive apples within inches of their lives! It was a fun treat to have Gammy along with us, and I was so grateful for an extra pair of hands that day! 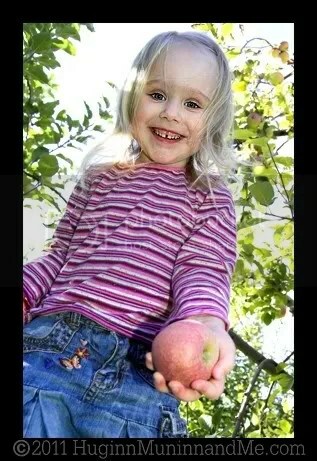 As happy as she was with her apples, Ro will always be Ro, and as far as she’s concerned, mommy belongs to HER (she’s very much a stickler for this rule). This can make things difficult when your 3-year-old demands that she simply MUST use the potty right NOW. 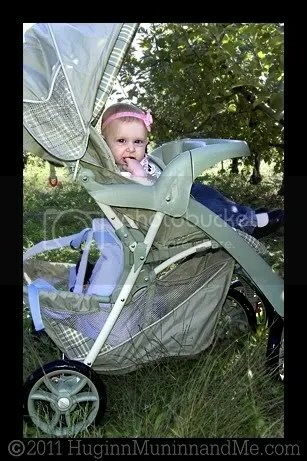 In the middle of an orchard. In the middle of a field. In the middle of nowhere. . . at the exact moment her baby sister starts screaming! All business taken care of, the girls chomped (and sucked) their last apples while we waited for the tractor to come and bring us back to something remotely resembling civilization. 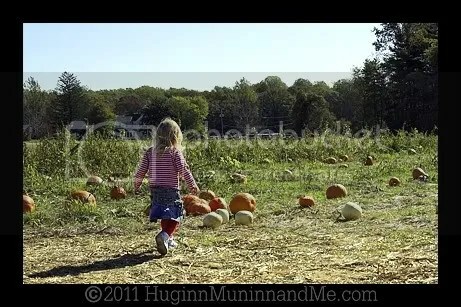 With Halloween just around the corner, we had to make one last stop before returning to the farmhouse that day. . .
. . . to pick some PUMPKINS!!! 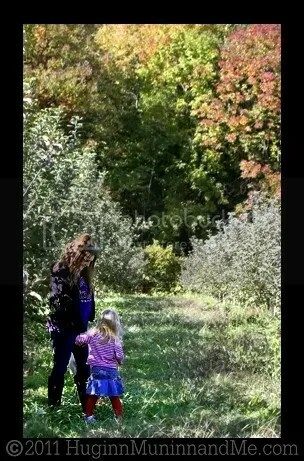 It was a fabulous day, and I can’t wait to go back when autumn rolls our way again. . . only this time I think we’ll try to get there in September. 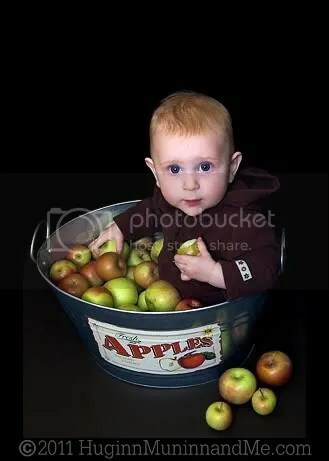 You know, when there are still some apple-sized apples on the trees! 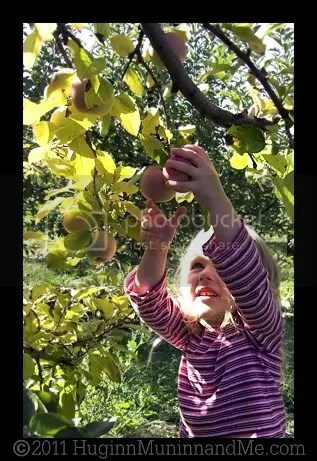 This was Ro’s first apple picking adventure, of course – she wasn’t even around for the autumn before! 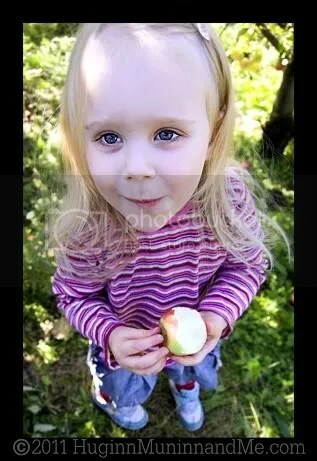 But Teagle has put several autumns behind her, so I thought I’d share a couple of pictures from big sister’s first apple picking adventure in autumn of 2008. She was 15 months old (when did she get so darn BIG? 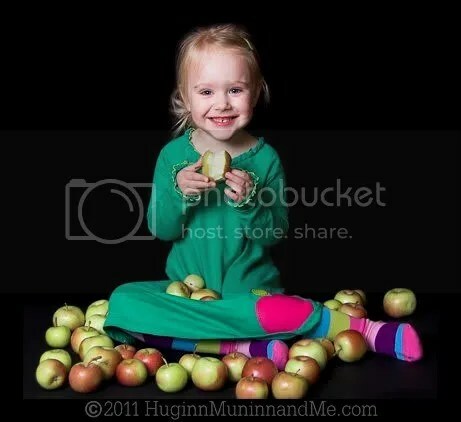 ), and proved very skilled at taking a single bite from every apple we brought home that day, and tossing the rest! I can’t wait to see how much more fun Ro has with this adventure the next time around – she’ll be one and a half by then! awww!! I love it! 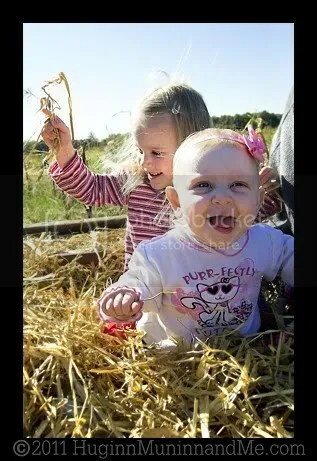 🙂 I wanna go apple picking…looks like FUN! 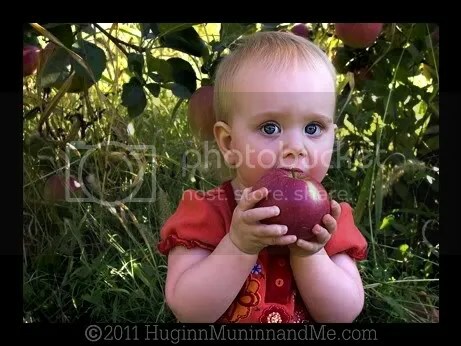 What a great post, I love these pics of your girls with the apples in the orchard. what are you trying to be me? there’s no new post for a week????? ?